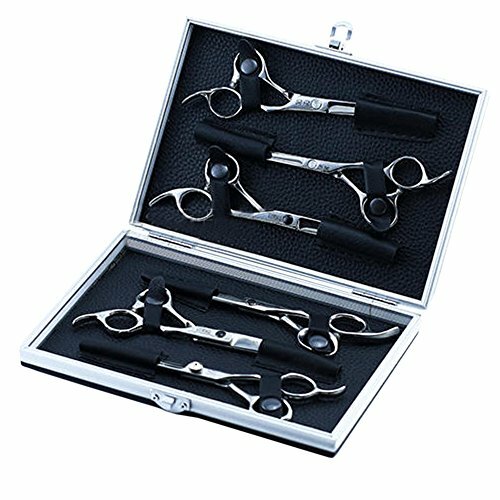 1.For salon hairdresser or hair stylists:it's convenient to keep multiple shears on top of station and a safe spot to get them in really quick,they are right there to pick from. 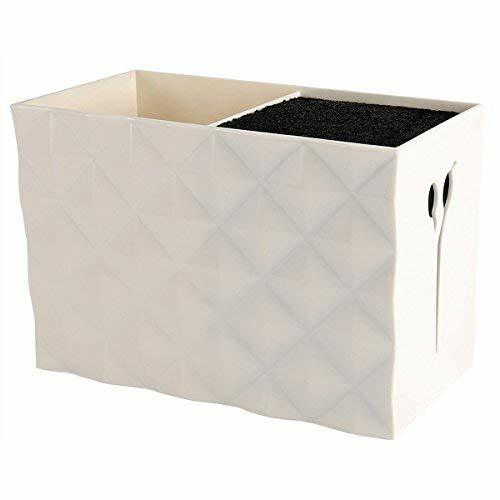 2.Home usage:Keeps combs, small scissors and tweezer all organized on bathroom shelf,Great solution to keep your bathroom counter clutter free and looks professional. 3.Secure:fit securely and don't move around at all,greatest invention ever hands down. *Amazing Organizer: Fit your shears and a bunch of other tools, keep work surface neat and save space. * High Efficiency of Salon Work: Easy to put in and take out scissors, along with combs, clips, and other hair cutting tools in hands reach. 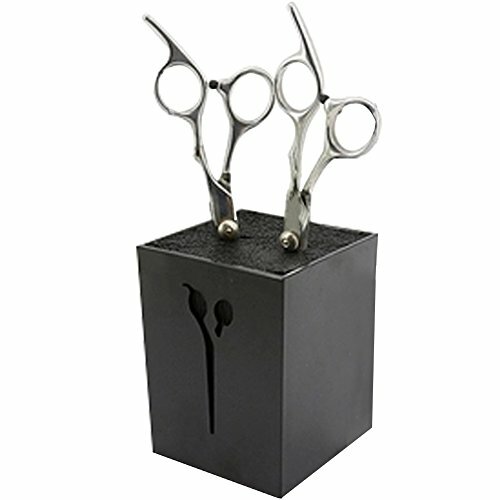 * Good for Shears : The prongs keep shear separated from each other and good for shears. Hold a good amount of shears and doesn't tip over. * Ease of Cleaning: The plastic prong can be pull out and easy to clean. 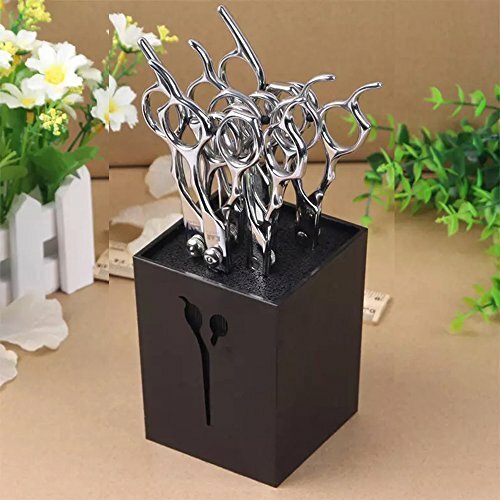 * What You Get: 1pc Scissors Holder(Not include Scissors) , our worry-free 30-days warranty and friendly customer service. 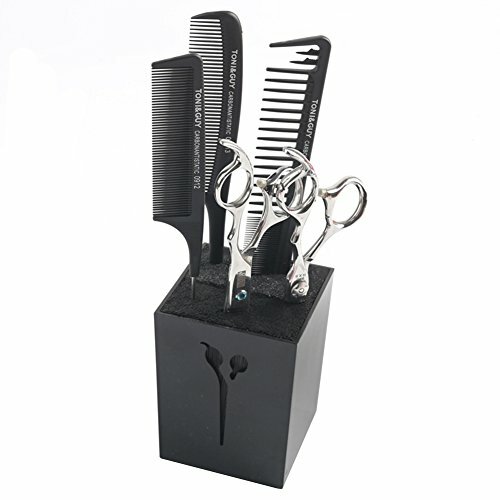 *Amazing Organizer: Fit shears, keep work surface neat and save space. * High Efficiency of Salon Work: Easy to put in and take out scissors, hair cutting tools in hands reach. 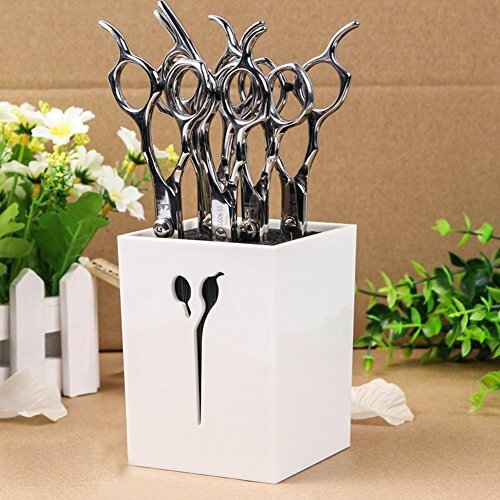 A must have for Salon & Family: this professional scissor holder is made to keep your scissors safe, secure and organized, great for salon stuff and family use. 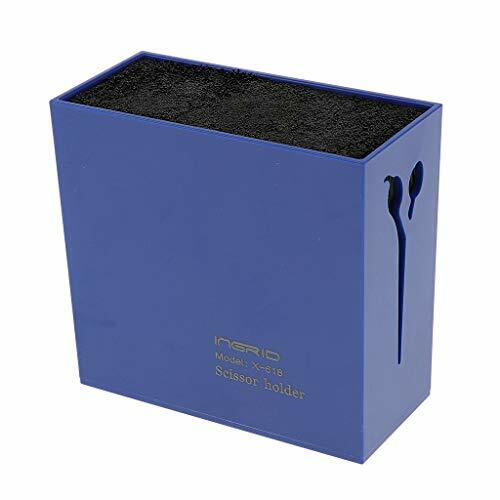 Store Scissors Safely: the inside is rubber type straws, it is suitable for any size scissors and you can fit lots of scissors in whatever way you choose. Easy to clean: the inside bristles is removable for cleaning, offering a more hygienic storage system than traditional scissor holders. 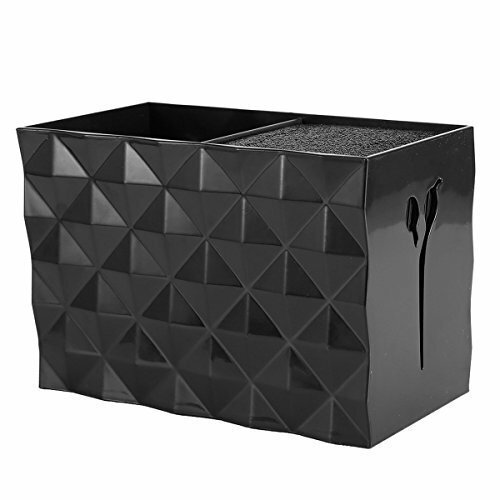 Sturdy & Beautifully Constructed: keep steady on any flat surface, bottom with Anti-skid design. A perfect hairstylist gift or addition to your hair salon decor. Size: 5.94 X 3.15 X 4.13 inch. Made of Environmental acrylic + DuPont nylon, no slots, it can securely grip scissors of any shape. Space saving and portable; it can be used anywhere. 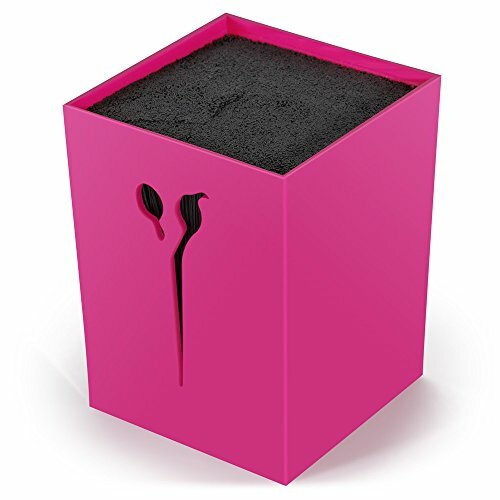 The bristles can be removed and cleaned, thus offering a more hygienic storage system than traditional scissor stands. Keeps steady on any flat surface, anti-skid bottom. 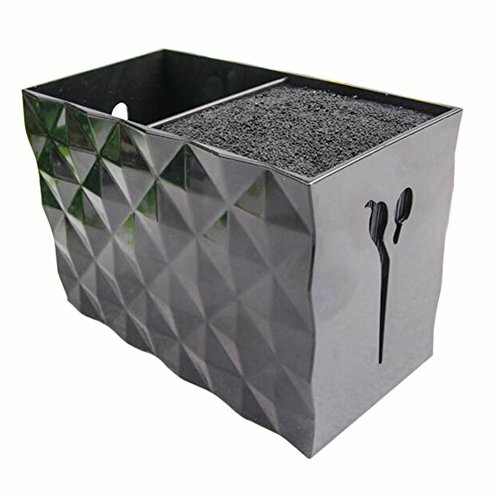 Specifications: Material: Acrylic + Nylon Color: Green, White, Black Size: 5.94x3.15x4.13 inches/15.1*8*10.5cm Application: Hair Salon, Family Package Included: 1 x Scissor Holder (Other Accessories are not Included) Note: 1.Please allow 1-3cm error due to manual measurement. Thanks for your understanding. 2.Monitors are not calibrated same, item color displayed in photos may be showing slightly different from the real object. Please take the real one as standard. This scissor holder is made to ensure that your scissors are kept safe, secure and prevented from damage. Size: 5.94x3.15x4.13 inches/15.1*8*10.5cm. A perfect hairstylist gift or addition to your hair salon decor. Made of environmental acrylic + nylon, it can securely grip scissors of any shape, great for salon stuff and family use. 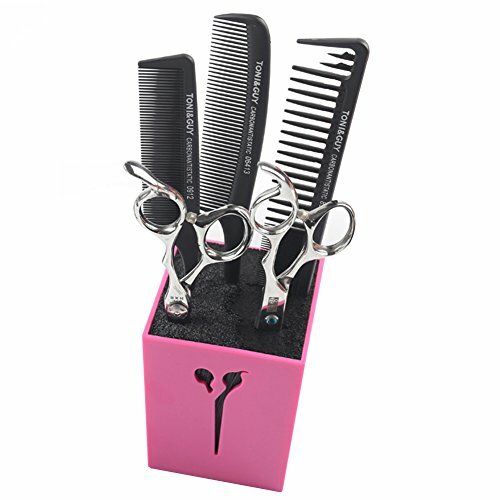 A perfect hairstylist gift or addition to your hair salon decor; Size: 3.15 * 3.15 * 4.13 inch. 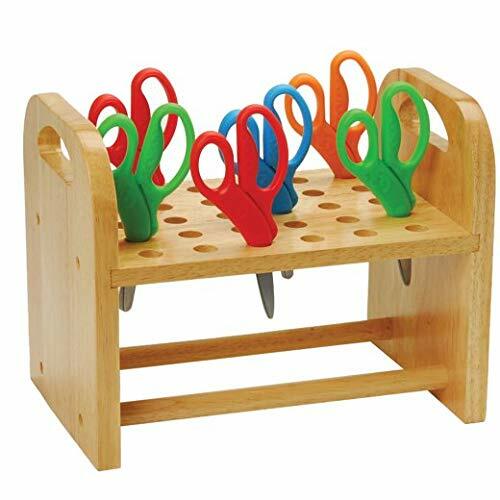 Keep scissors for the art station within REACH with the natural Wooden scissors holder. Store up to 30 pairs of student scissors. 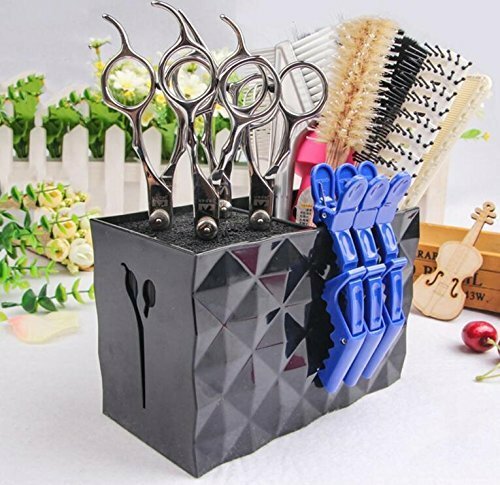 - A must-have for salons and families: Protect your scissors or shears safely and well-organized, making it perfect for salons and home use. 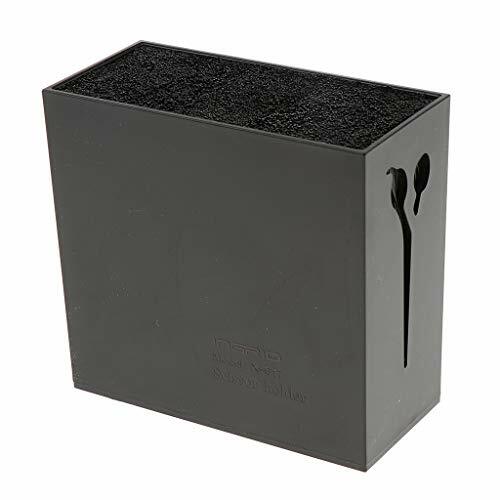 - Sturdy & Beautiful Design: The inside is rubber type straw for any size of scissors, you can choose the right scissors in any way. 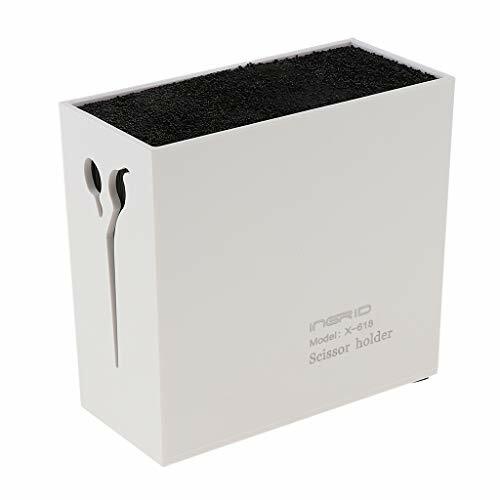 - Easy to clean: The internal bristles can be removed and cleaned, providing you a more hygienic storage system than traditional scissors stands. 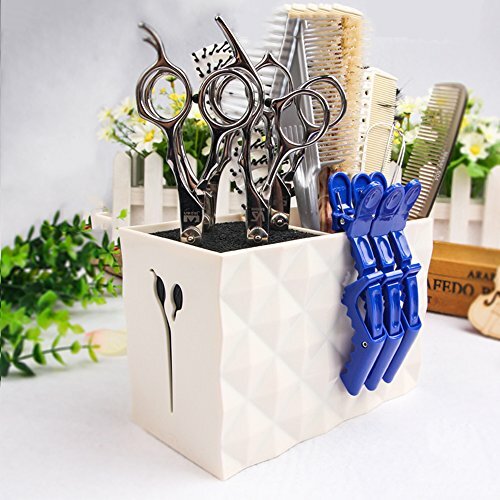 - Space Saving: Organize all your hairdressing tools in one place, such asscissors, combs, hairbrushes, clips etc, keeping your desktop tidy and clean. - A perfect hairstylist gift or addition to your hair salon decoration, size is 11.5 5.5 10.5 cm/4.52 2.16 4.13 inch. 1.Color may vary slightly because of the difference of display screens. 2.Please allow 1-3mm errors due to manual measurement. 3.Thanks for your understanding and attention, wish you a pleasant shopping experience! A must-have for salons and families: Protect your scissors or shears safely and well-organized, making it perfect for salons and home use. 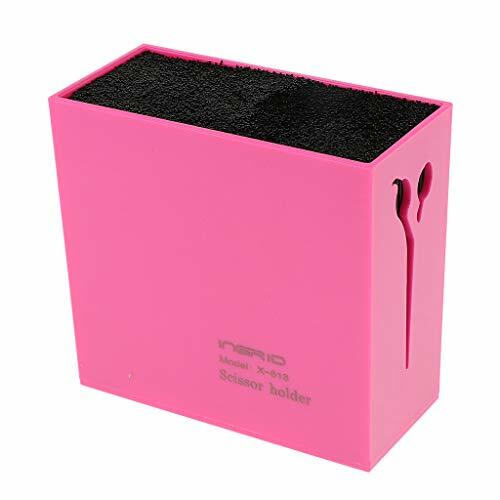 Sturdy & Beautiful Design: The inside is rubber type straw for any size of scissors, you can choose the right scissors in any way. 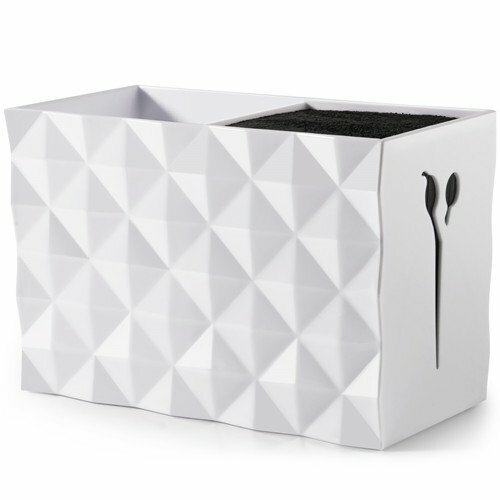 Easy to clean: The internal bristles can be removed and cleaned, providing you a more hygienic storage system than traditional scissors stands. 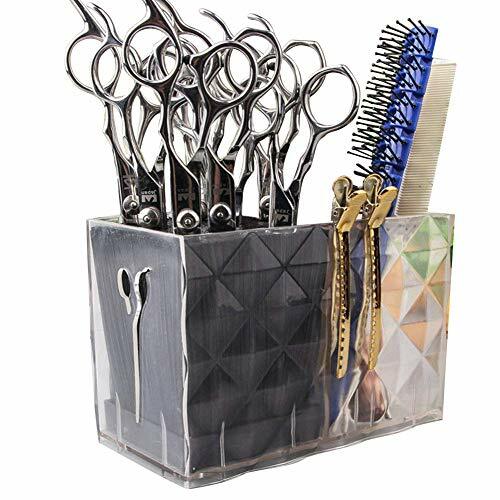 Space Saving: Organize all your hairdressing tools in one place, such asscissors, combs, hairbrushes, clips etc, keeping your desktop tidy and clean. Melindal - Hair Salon Storage Box - Scissors Rack - Salon Shear Holder for Stylist Scissors Rack - Hairdressing Scissors Holder - Shear Stand Non-Slip Storage Box Scissors Holder. Free insertion:No fixed position design,Free insertion,Flexible and secure,Non-slip design at the bottom,Removable and washable bristles.Besides, it is handy so that you can quickly pick out the right tools. One of the necessary accessories for hairdressers and groomers.